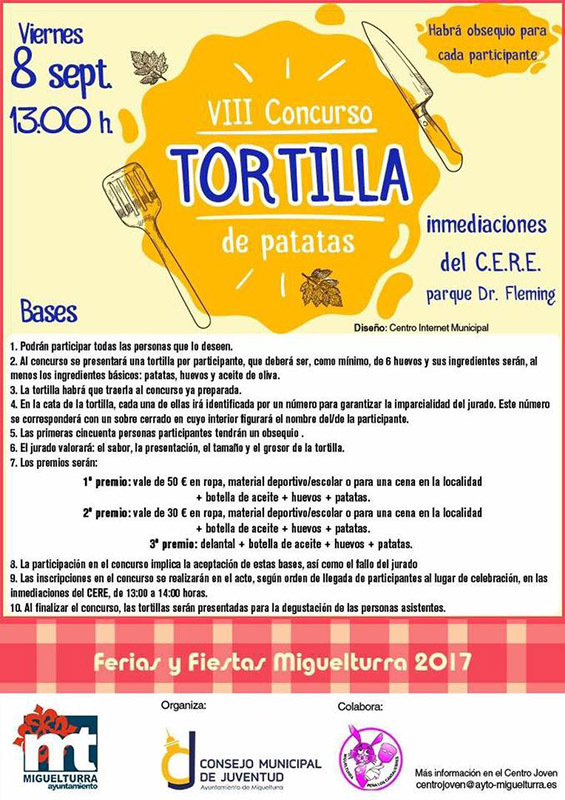 Booths, lunch of brotherhood and party of the foam, are among others the activities that will organize the Peñas of the Churriego Carnival. The Peñas Cansaliebres, Los Rocheros and La Cabra, they will set up the traditional booths in the fairground, good music and a magnificent festive atmosphere. They will remain open from September 7 to 11. They will also assemble the bars of the Multifunctional Auditorium. 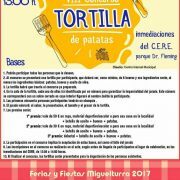 VIII Contest of Tortilla, in the environs of the CERE from the 1:00 pm, Organized by the Municipal Council of Youth and with the collaboration Peña Los Cansaliebres. In Doctor Fleming Park and from four in the afternoon, Foam Festival organized by the Municipal Youth Council and with the collaboration of Peña Kapikua. From 1:00 pm in Doctor Fleming Park, lunch of brotherhood of the Peñas Churriegas. Activity organized with the City Council and the Carnival Association of Miguelturra. In the fairgrounds and from 5:30 pm, V Olive Bone Release Contest, activity organized by the Municipal Youth Council and with the collaboration of Peña el Puntillo. From 12:30 pm, VII Charangas Encounter: “El Bufón”, “Alhiguí” and “Kata Pum Chinpum”. Concentration in the Plaza de España, parades and later, they will animate ‘La jarrilla’ in the Doctor Fleming park. To end on Sunday, from 10.00 pm, Dance Encounter “TurraDance”: Kizomba/Bachata, Belly Dance, Modern, Flamenco and Funky in the Multifunctional Auditorium, with the collaboration of the Peña el Puntillo.